The city of Knoxville, located in Knox County, is the third largest in Tennessee, home to the University of Tennessee one of the nation’s premier public institutions of higher learning. Knoxville offers residents an incredible package of “city living” while combining it with a small town feel and a virtual treasure chest of of outdoor and recreational opportunities just a quick drive away. Communities: Ther e are many areas that offer high end neighborhoods depending on what you are seeking. There are some excellent communities offering a water view, excellent golf courses, or maybe a walkable community to nearby shops and theaters. Some of these include areas such as Downtown, Bearden & Westmoreland and Cedar Bluff, Concord & Bluegrass, Farragut, Fox Creek, Hardin Valley & Lovell Road and Northshore. 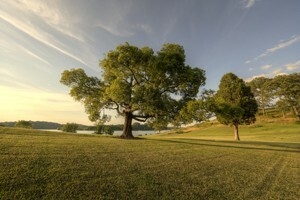 Knoxville offers a variety of recreation and activities for all ages and all types of families. Parks & Attractions: Blessed with all four seasons, Knoxvillians take advantage of the many outdoor activities in the surrounding areas. 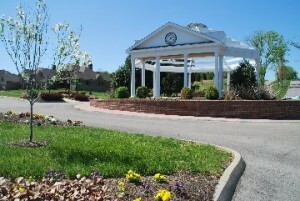 There are multiple greenways that connect parks throughout the Knoxville area including LakeShore Park, Ten Mile Creek Greenway, Ijams Nature Center, and Sequoyah Hills Greenway. Being located near the Smokey Mountains and Watts Bar Lake, the outdoor activity opportunities are endless! Some of Knoxville’s popular attractions include the World’s Fair Park, Sunsphere, Bijou Theater, Knoxville Zoo, University of Tennessee, and Market Square. Schools: The Knoxville area provides many exceptional public schools such as Sequoyah Elementary, Rocky Hill Elementary, Ball Camp Elementary, Karns Middle, West Valley Middle, Bearden High, Farragut High, and West High School. Multiple private schools occupy the area as well, such as Christian Academy of Knoxville, Sacred Heart Cathedral School, Concord Christian School, Grace Christian Academy, Knoxville Catholic High School and Webb School of Knoxville. Restaurant Linderhof (German cuisine) – voted Knoxville’s “Must Try” Restaurant with a traditional Schnitzel that is to die for. Make sure and start with an order of the Hof Wings and your favorite beer in one of their steins that requires two hands to drink from. Don’t miss their “Oktoberfest” celebration going on every year on the lawn at Renaissance Farragut in mid-October. El Mezcal (Mexican) – visit the Farragut or Bearden location for some of the best Mexican food arou nd. We like this place because of their authentic food and moderate prices. Oh… and dare I forget to mention the Margaritas! Sam & Andys (sandwiches/burgers) – Knoxville’s Favorite Burger since 1946 some will say. We love this place for its sandwiches and burgers, especially the Pizza Burger! Flemings Prime Steakhouse & Wine Bar – Award-winning collection of 100 wines by the glass and an exceptional menu of steak and seafood. This is one of Knoxville’s best fine dining restaurants and will absolutely leave you satisfied.